Cultural Analytics Lab: Free workshops by Lev Manovich: “Thinking with Data: Learn to use R to manage, analyze, and visualize your datasets"
Free workshops by Lev Manovich: “Thinking with Data: Learn to use R to manage, analyze, and visualize your datasets"
Closeup of the data visualization "Research - Royal College of Art" by Karin von Ompteda. Learn to use R to manage, analyze, and visualize your data. R is the leading language today for learning and doing data science, statistics, and machine learning used in all academic fields. This series of workshops teaches students how to use R for organizing, analyzing and visualizing data. The workshops take place at the Graduate Center, City University of New York. The workshops are open to all GC students in natural sciences, social sciences and humanities. In addition to covering practical use of R, each workshop also includes a mini-lecture covering relevant theoretical ideas, historical material, examples of analyzing large data sets in social science and humanities research, and other topics. 1. September 25. Introduction to R. Managing data. | From world to data. 2. October 16. Exploring data: descriptive statistics and data visualization. | The rise of statistical imagination and "big data." 3. October 30. Advanced visualization with R and ggplot2. 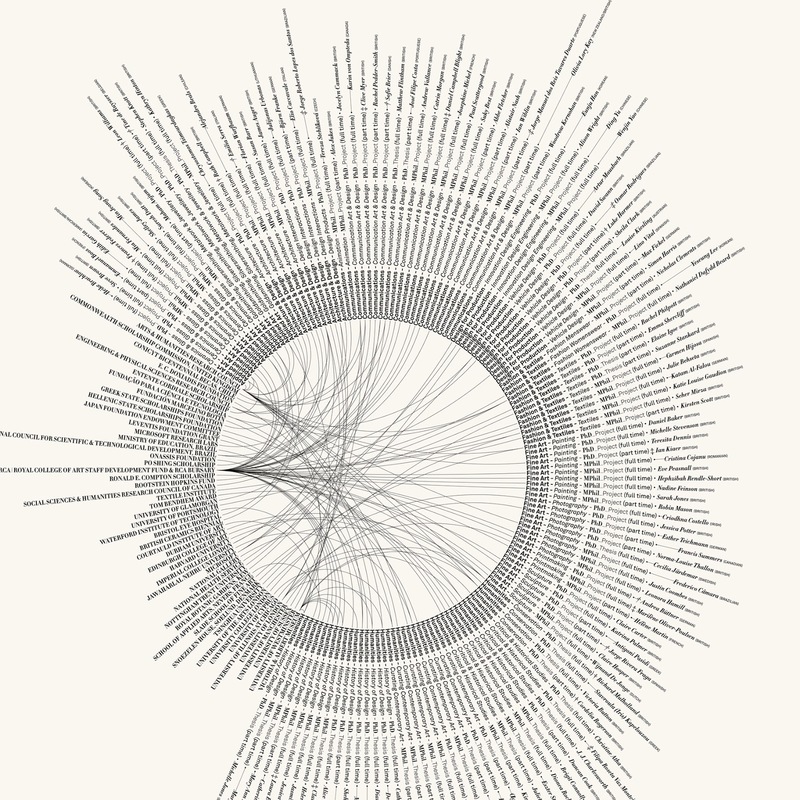 | Well-known visualization projects and people. 4. November 13. Analyzing social media data. | Examples of using social media in social science and humanities. 5. December 4. Introduction to machine learning | Use of machine learning in contemporary society and academic research.